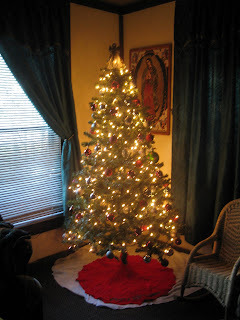 My sister-in-law Sonja, my niece MaryHelen & I put up the Christmas tree a few weeks ago. 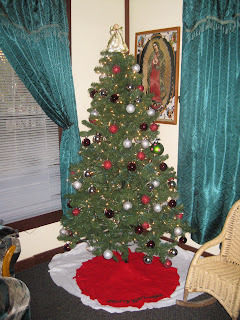 I took a few pictures of the tree that day =) But now the tree has gifts under it & a gate around it because my baby niece & nephew like to get into the gift and into the tree by taking all the ornaments off of it. Anyway Enjoy. Lot's of love . :CHRISTY:.